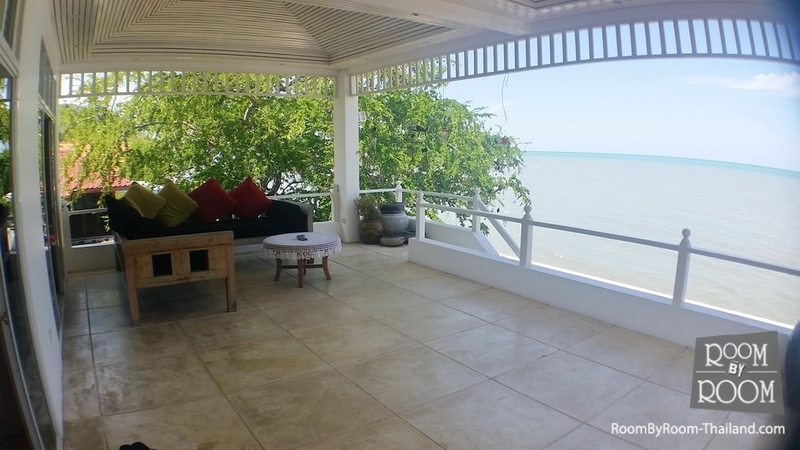 Beautiful modern beach house for sale nestled in the foothills beside the sea adjacent to the famous Sai cave and temple. 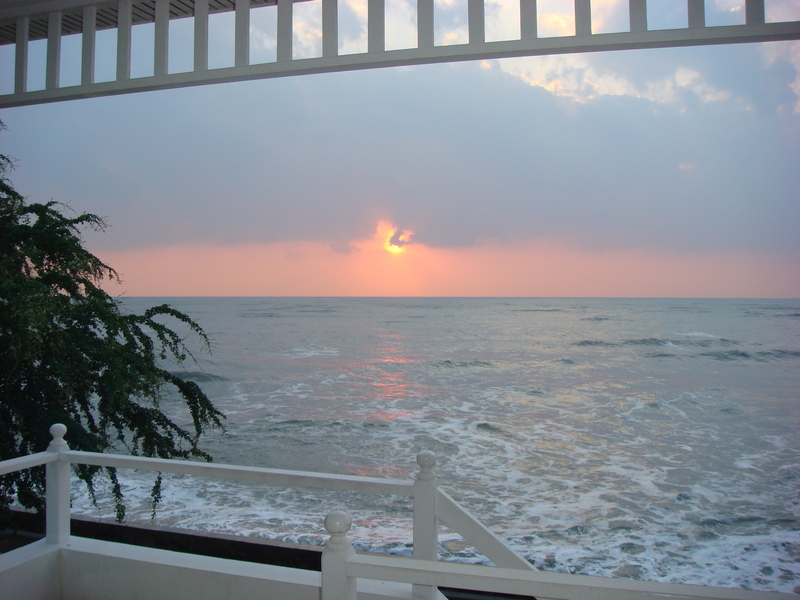 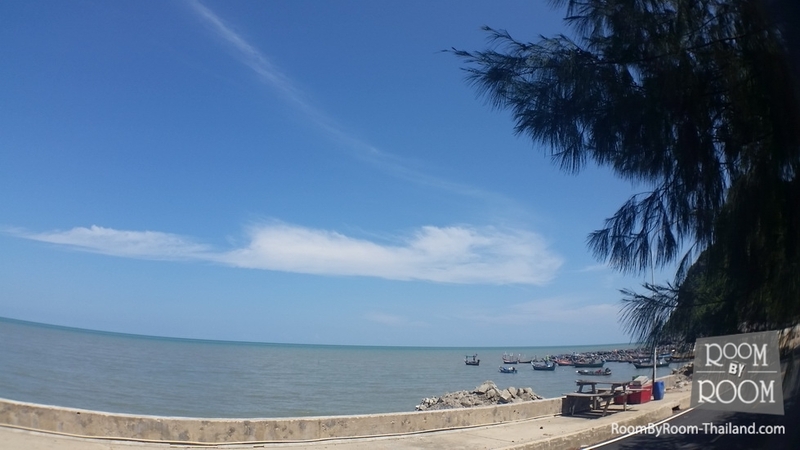 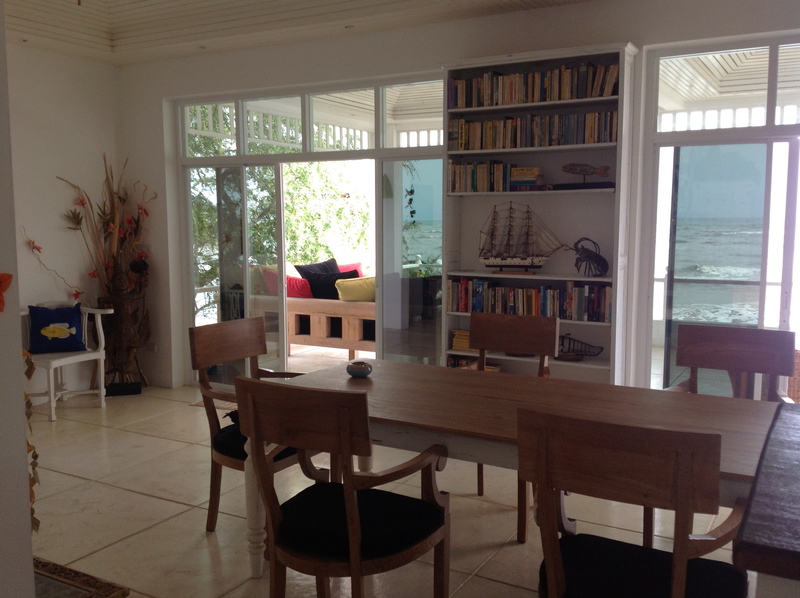 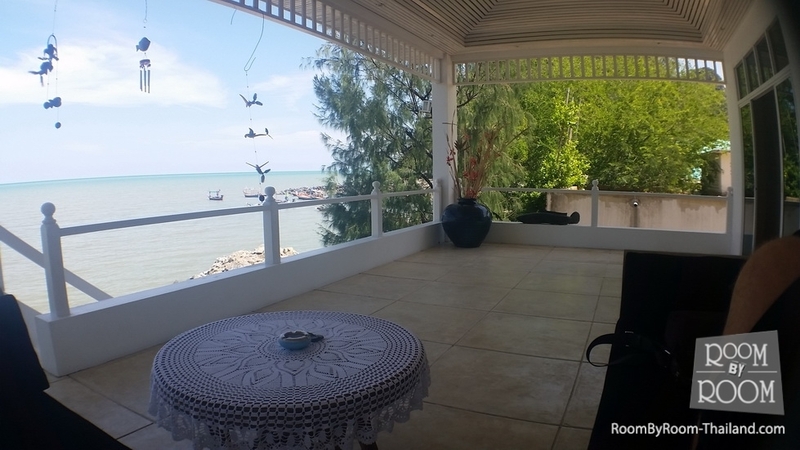 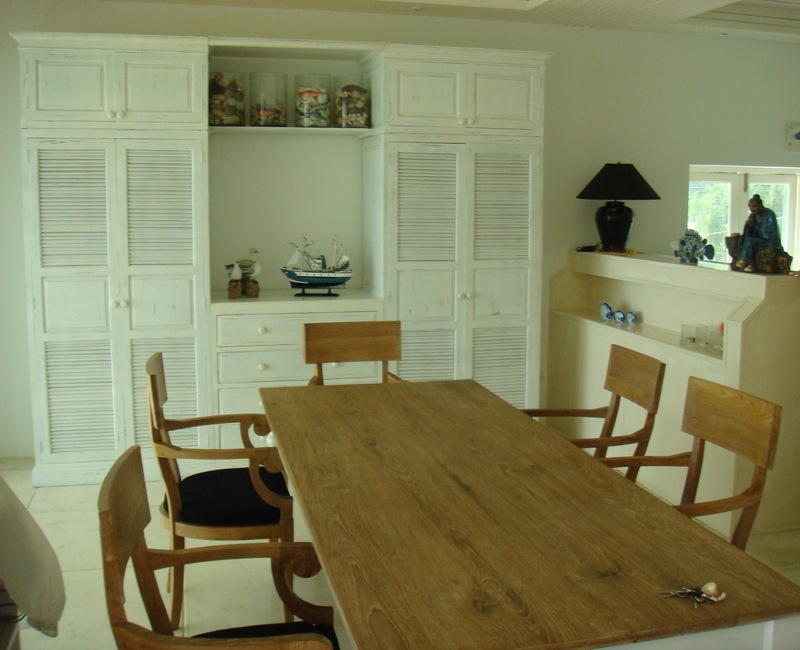 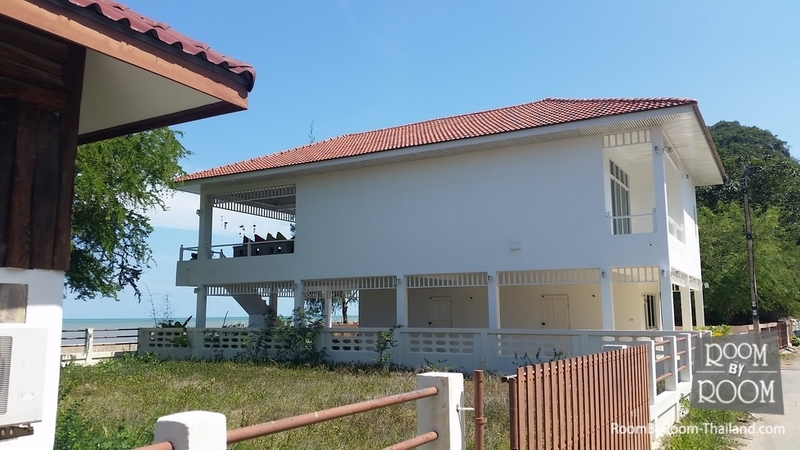 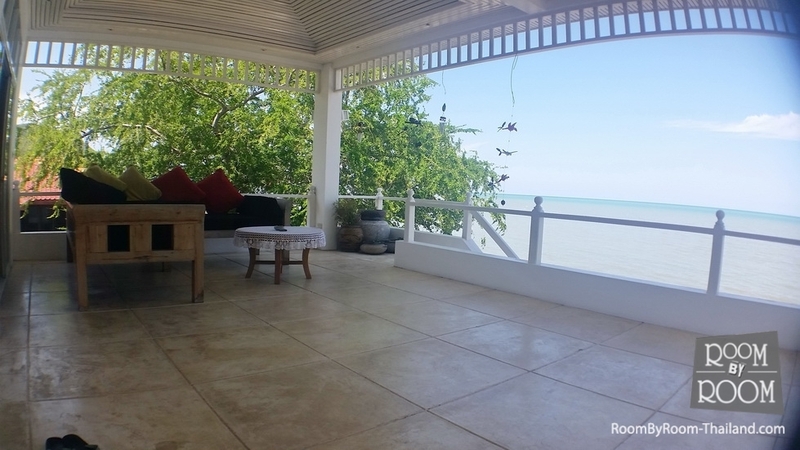 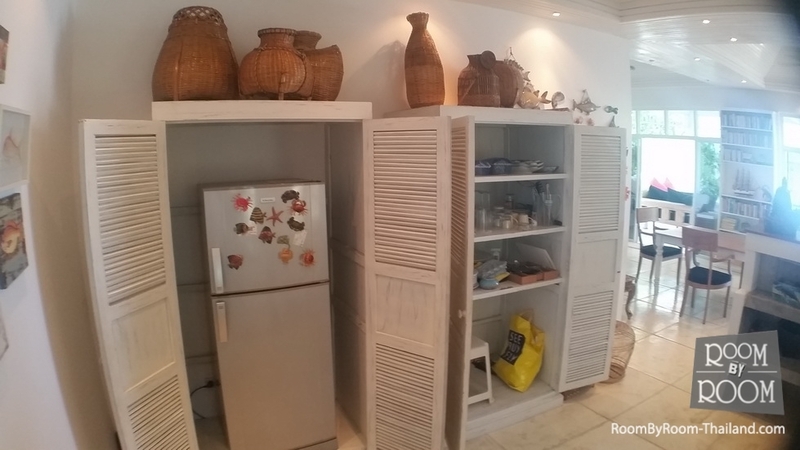 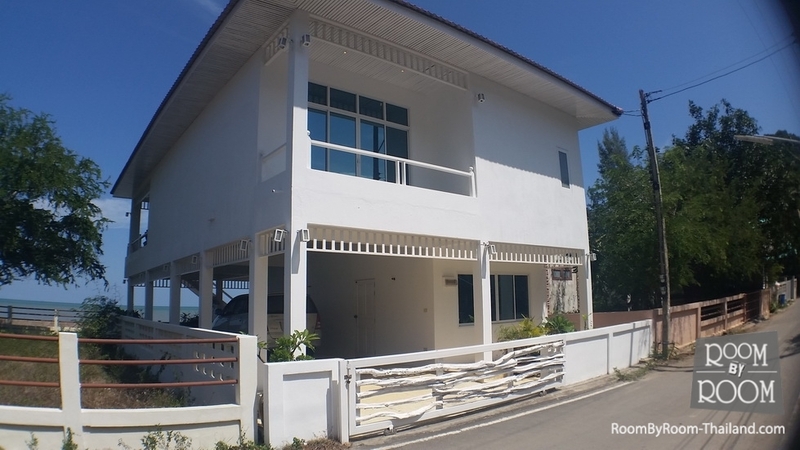 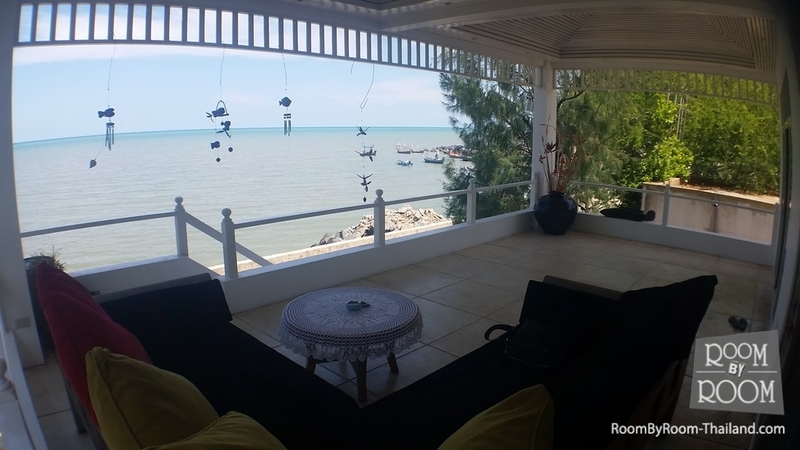 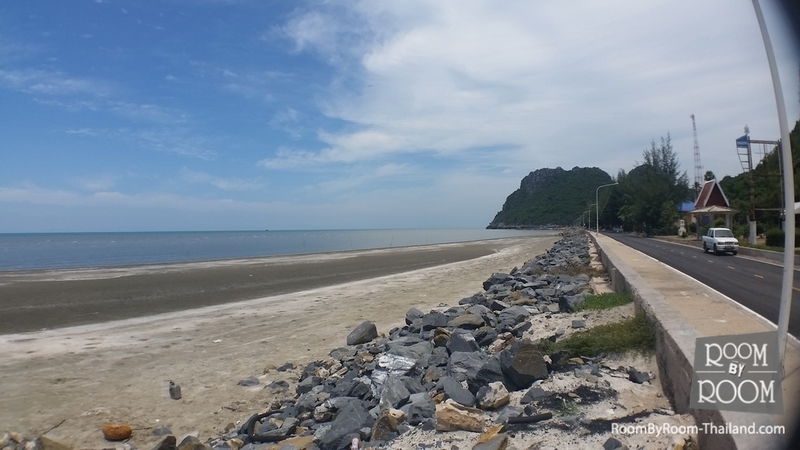 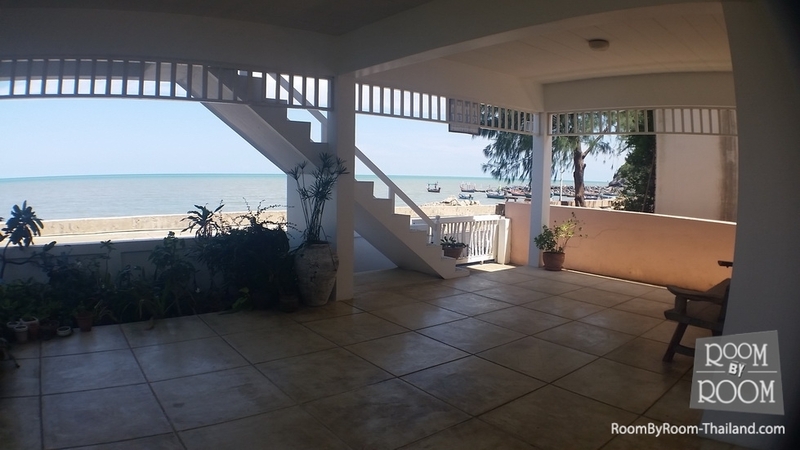 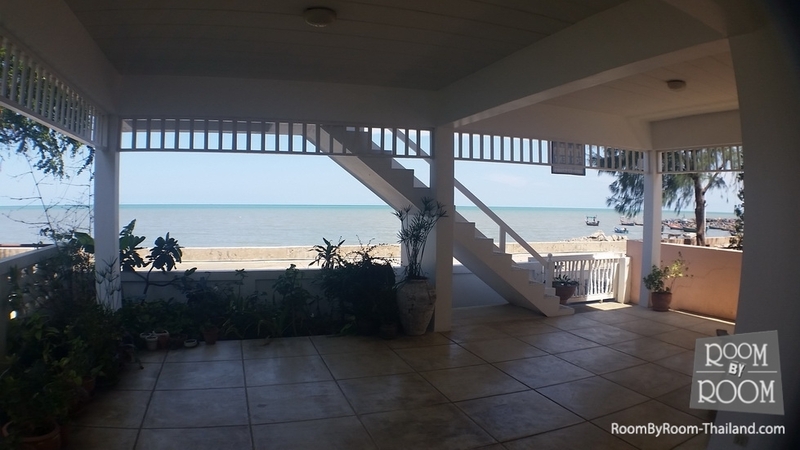 It is a delightful 2 storey beach house with the upper floor consisting of a large open plan room with large kitchen and dining area, large en suite double bedroom and spacious terrace overlooking the gulf of Thailand. 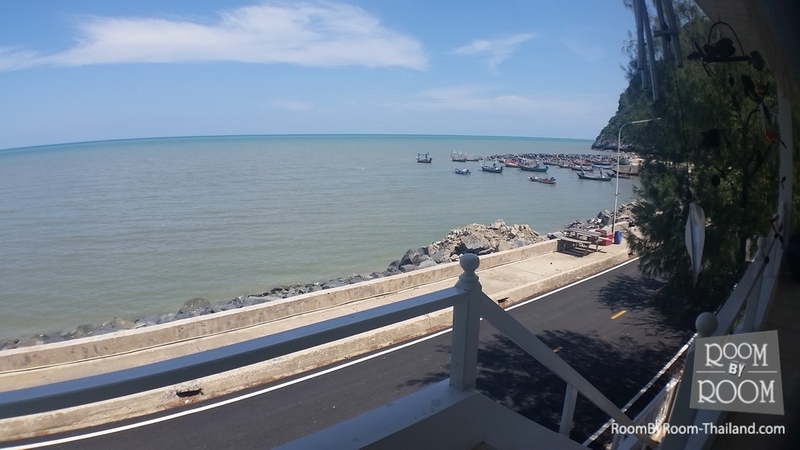 The views are beautiful surrounded by small hills on each side and the famous Thai boats dot the bay. 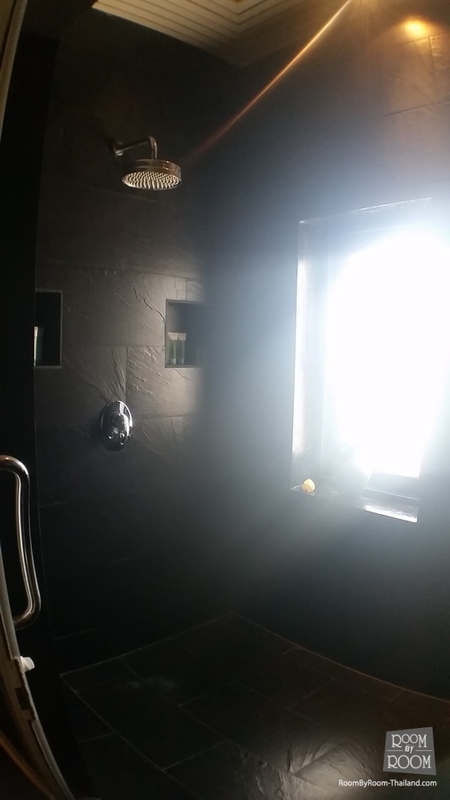 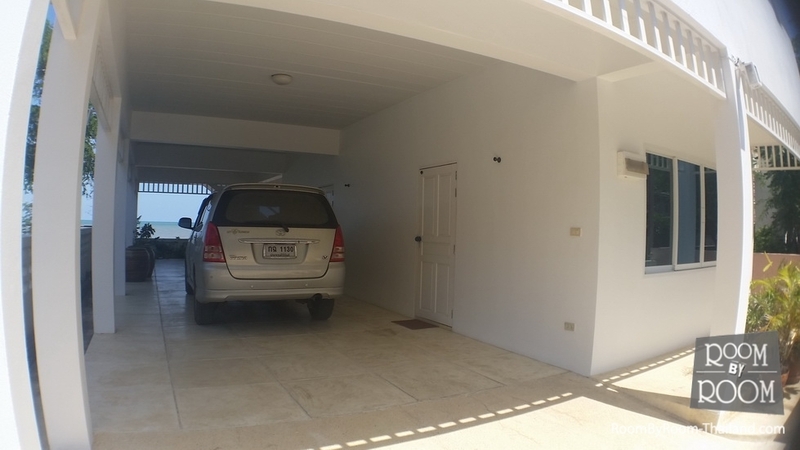 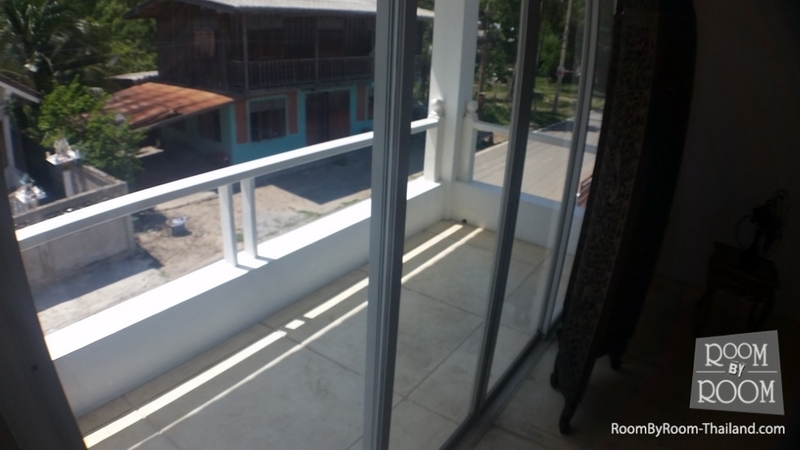 On the ground floor there is additional outdoor living, car port and 2 extra bedrooms with a shared bathroom. 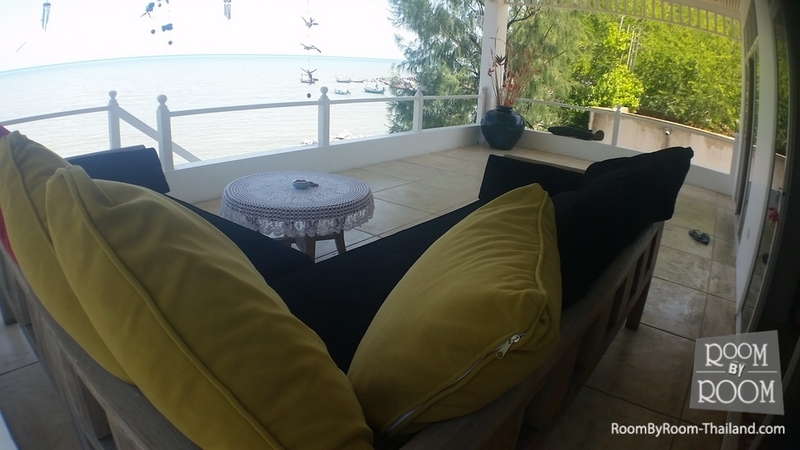 The upper floor living and dining area flows onto the balcony where you can entertain guests relax and listen to the sea below. 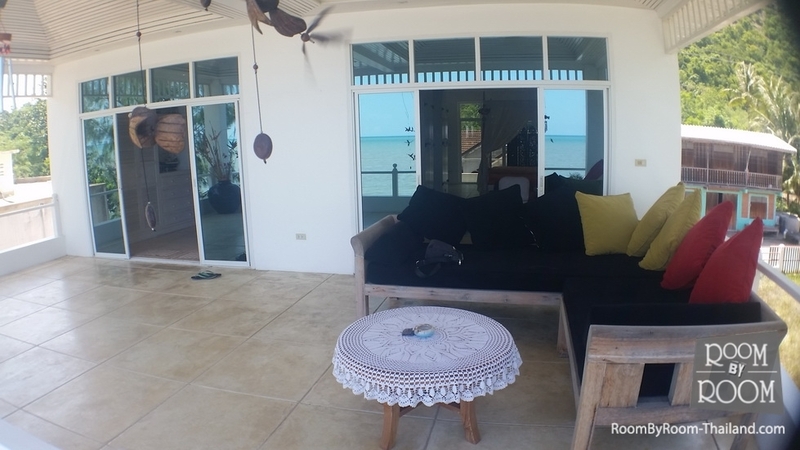 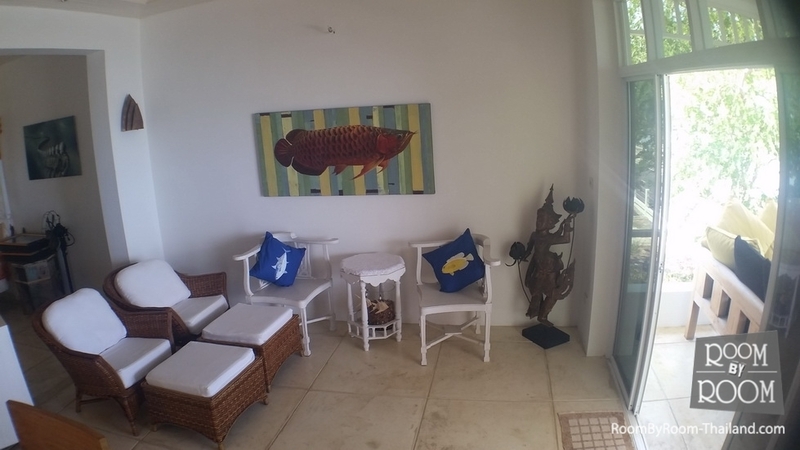 This unique modern beachhouse is one of a kind and boasts a wonderful atmosphere created by the unique design and location. 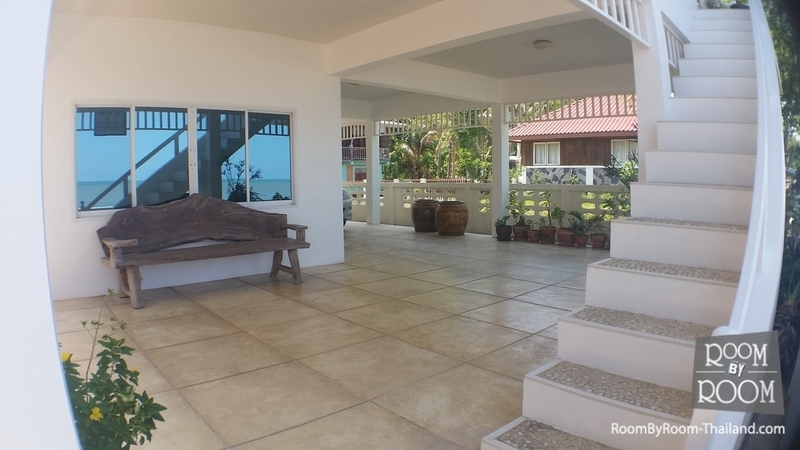 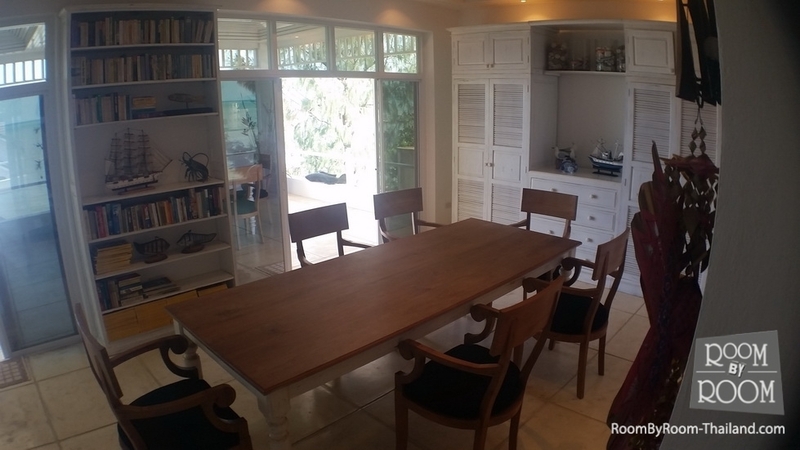 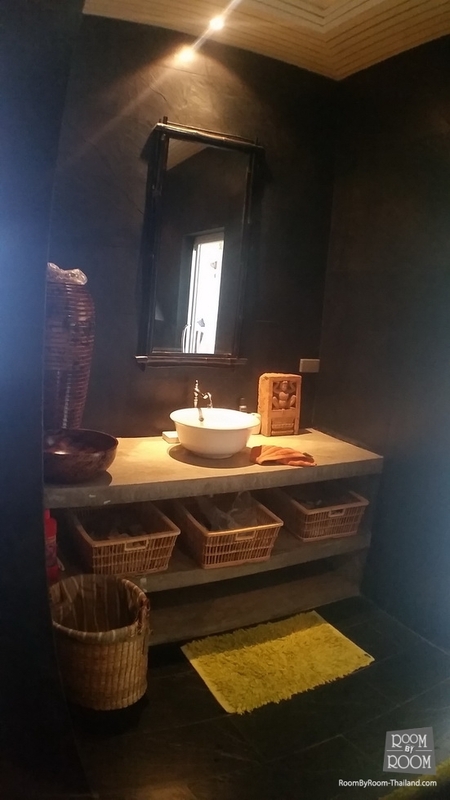 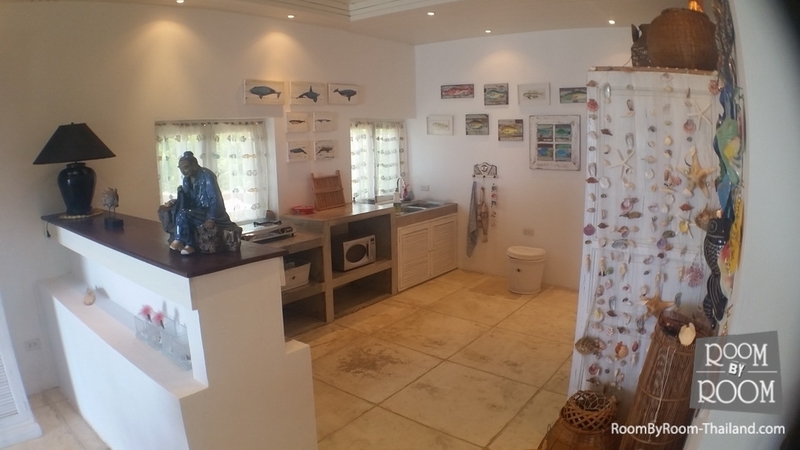 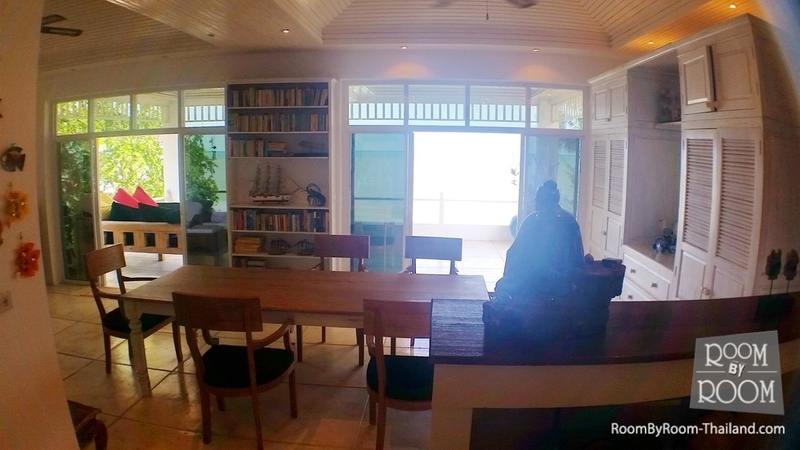 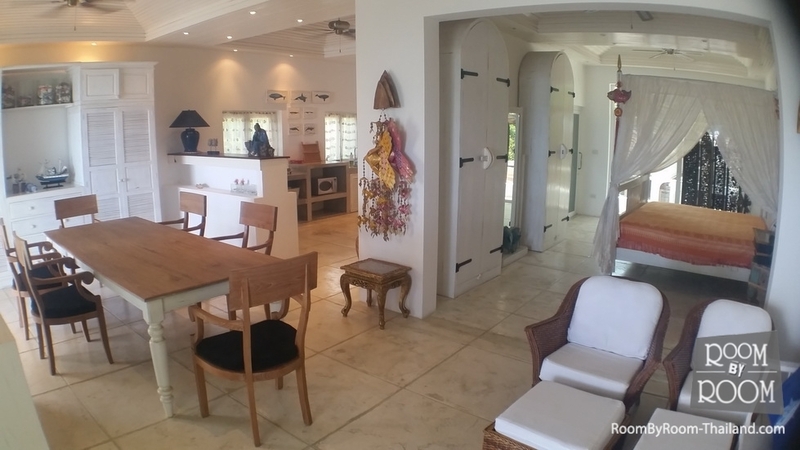 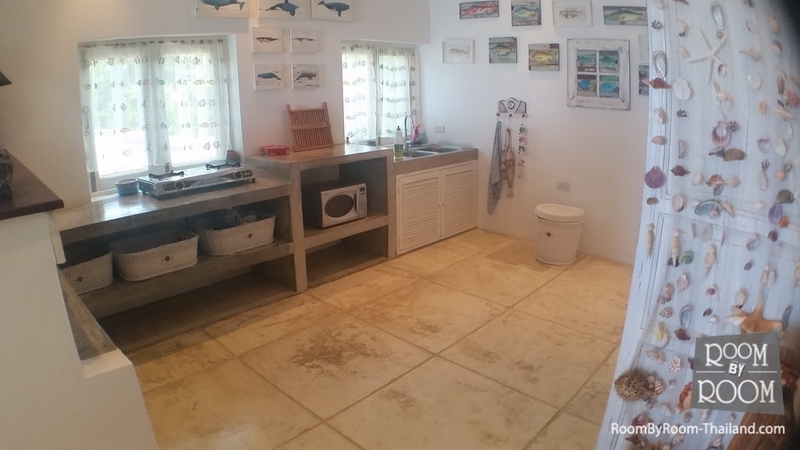 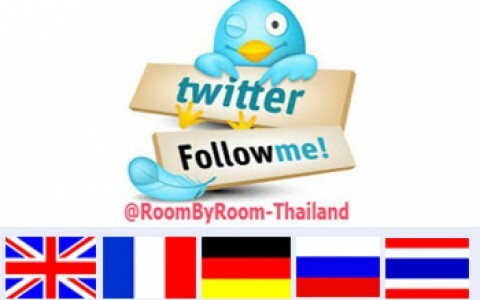 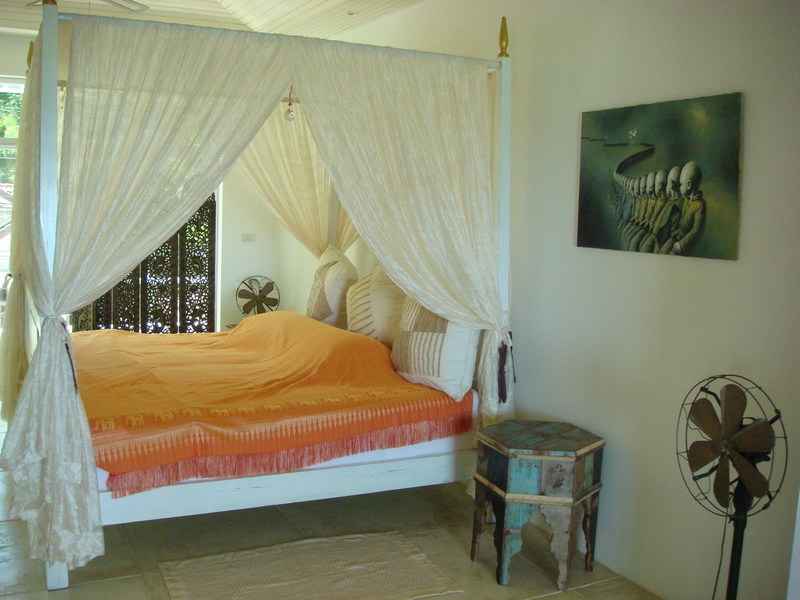 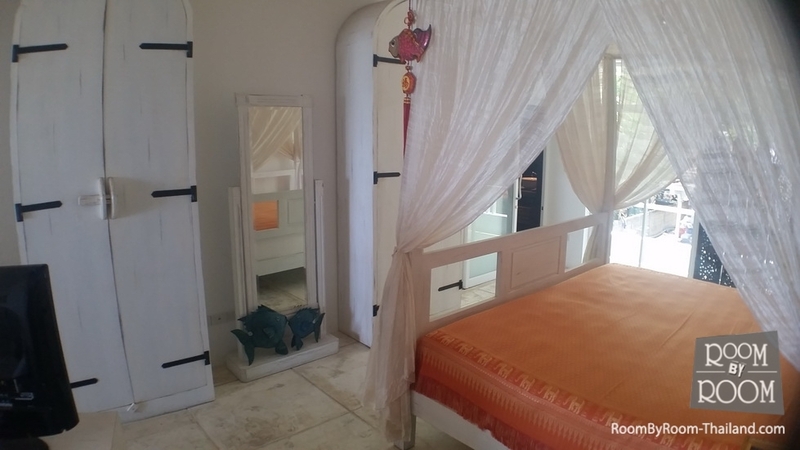 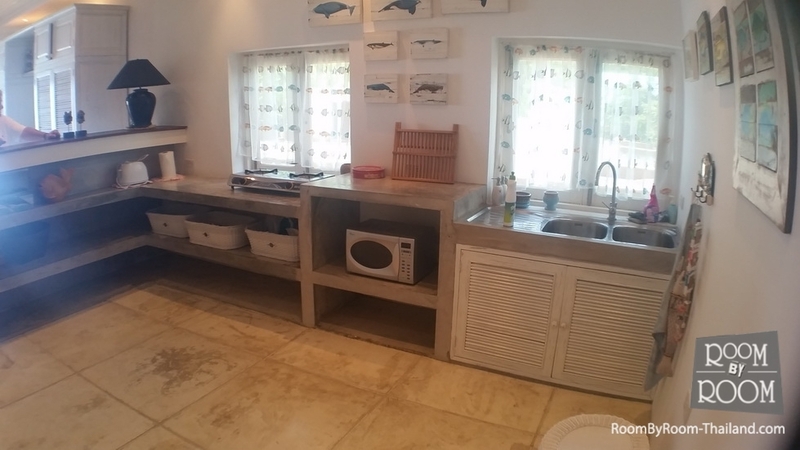 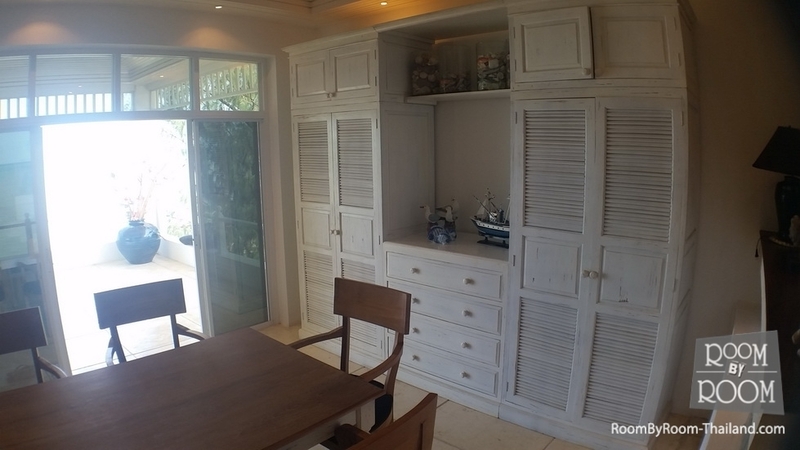 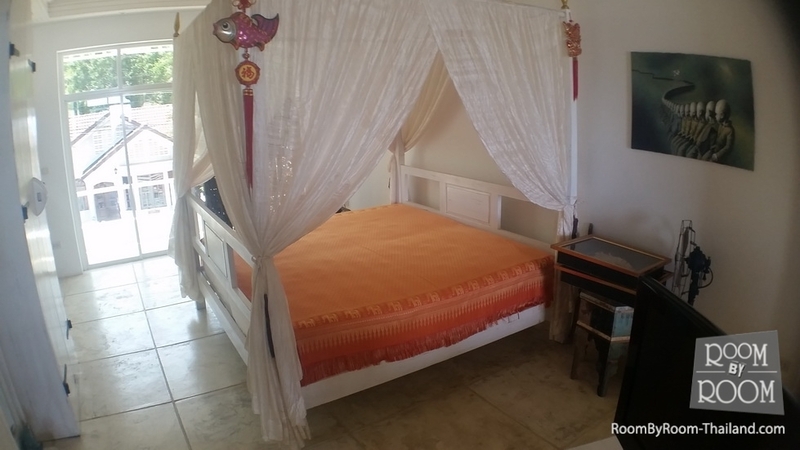 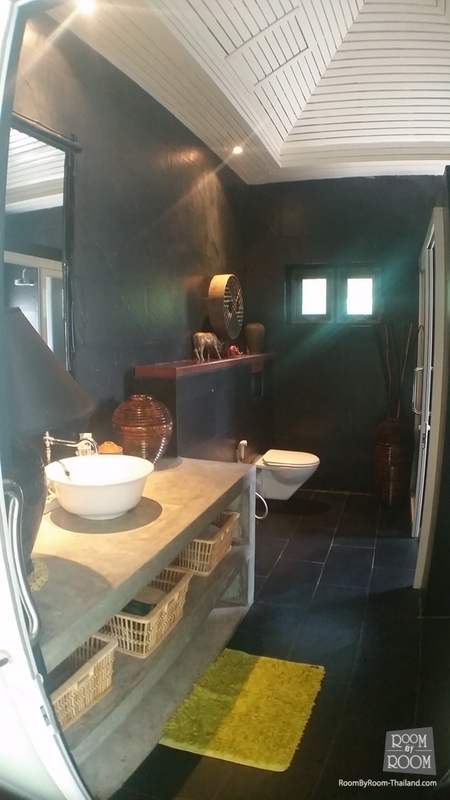 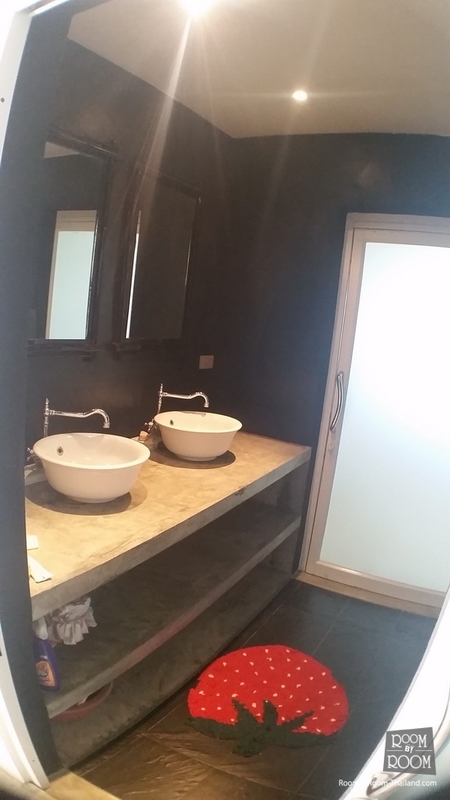 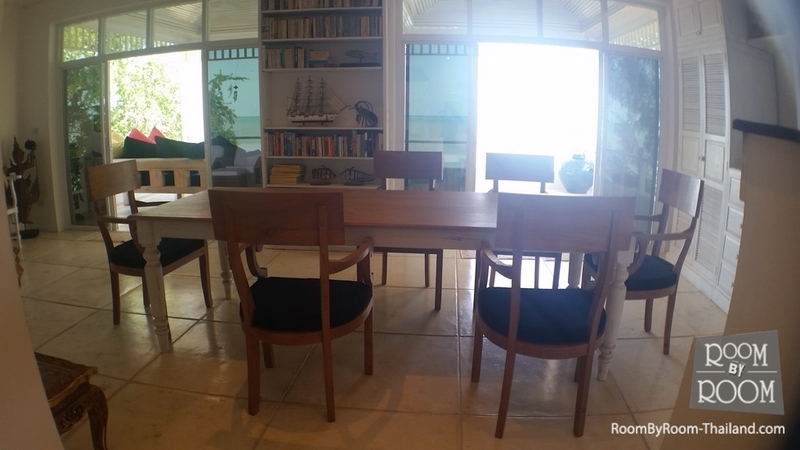 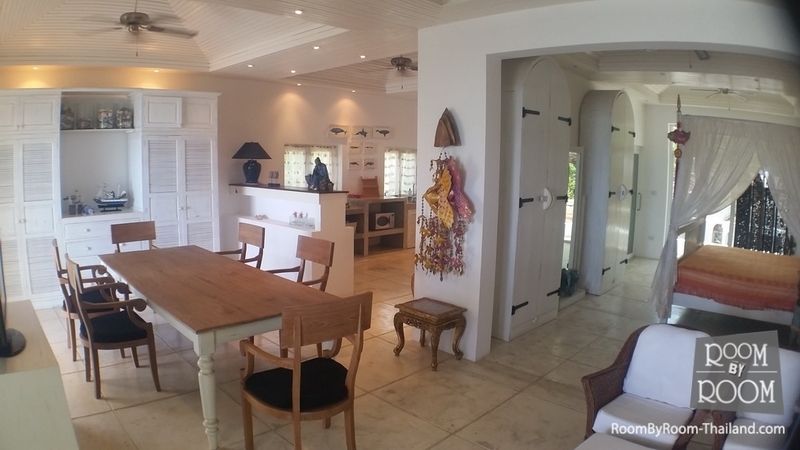 This fantastic house is located inside the national park and close to many of Sam Ro Yot attractions, shopping, golf, nature trails, temples and caves.